Barry Trotz abruptly stepped down as coach of the Washington Capitals on Monday after failing to agree to terms on a new contract, a stunning move that left the newly minted Stanley Cup champions without a coach with the draft later this week and with free agency coming up fast at the end of the month. 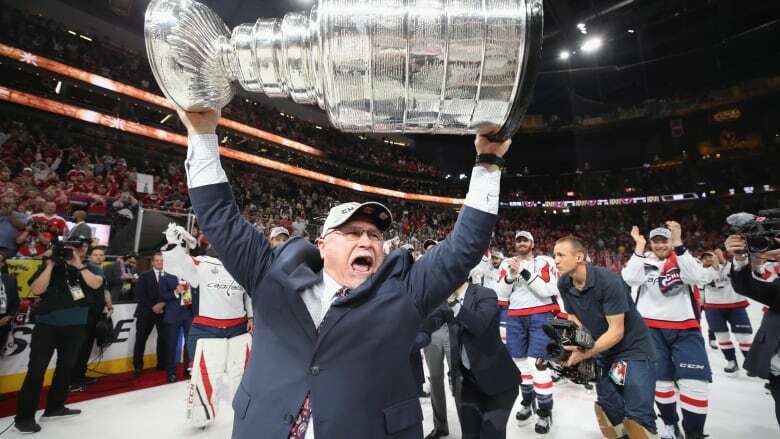 Winning the Cup less than two weeks ago triggered a two-year extension for Trotz that would have given him a slight bump in salary to just over $2 million, a person with direct knowledge of the situation told The Associated Press. The person spoke on condition of anonymity because the team did not announce the extension. Trotz and the team could not come to terms on an annual salary that would have put him in line with other Cup-winning coaches. Toronto's Mike Babcock makes the most at $6.25 million, Chicago's Joel Quenneville is next at $6 million and Montreal's Claude Julien brings in $5 million. "After careful consideration and consultation with my family, I am officially announcing my resignation," Trotz said. "When I came to Washington four years ago we had one goal in mind and that was to bring the Stanley Cup to the nation's capital. We had an incredible run this season culminating with our players and staff achieving our goal and sharing the excitement with our fans." In a statement, the team thanked Trotz for his efforts the past four years and said it was grateful for his leadership and accomplishments. General manager Brian MacLellan was expected to talk with reporters later Monday. The 55-year-old Trotz went into the season with an uncertain future after ownership and MacLellan declined to talk about a contract extension last summer after back-to-back Presidents' Trophy-winning seasons that ended with second-round exits. As part of the uneasy arrangement, associate coach Todd Reirden — who was not allowed to interview with other teams last summer — remained on staff and was considered the coach-in-waiting. Reirden is now the leading candidate to replace Trotz, who will be an intriguing figure on the coaching market. Only the New York Islanders have a current coaching vacancy, though given Trotz's success in Nashville and Washington, other teams might consider making a move to hire him. Trotz has the fifth-most victories in NHL history and has guided a team to the playoffs in 11 of his 19 seasons. Trotz's situation was a significant story line throughout the Capitals' somewhat surprising playoff run that ended with the first championship in franchise history. MacLellan said the coach would be back if he wanted to, but asked the day after the championship parade if he was confident of bringing Trotz back on a new contract, MacLellan responded: "I don't know. We'll find out." That same day, Trotz said: "We got lots of good things going. We'll work through it. We'll work through what we need to do. If that's what they want, then something will get done. If not, then we'll deal with that." What would you do with the Barry Bonds ball?